November 2017 | the every things. Thanksgiving is over, the shopping is ending. The girls going back to school & I am counting down til Christmas Break. The only thing that makes the holiday week being over better is.. 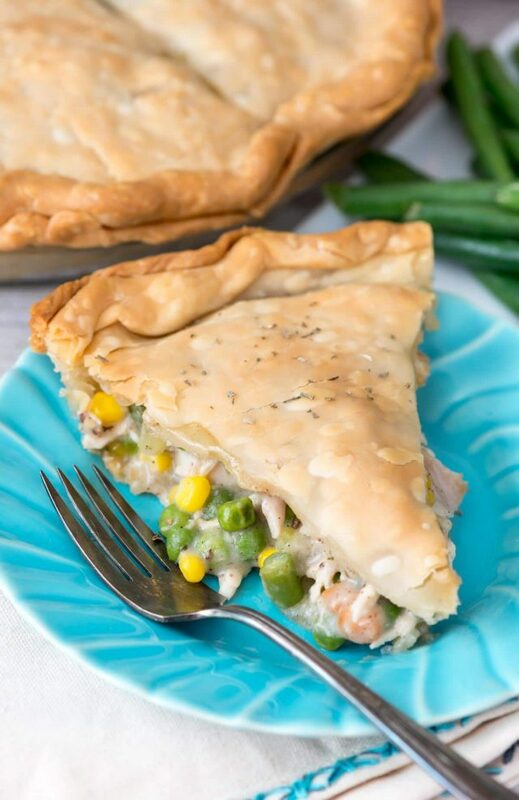 The greatest thing about leftovers..besides it being Thanksgiving leftovers obvi, is the easy meals you can use with them! I rounded up all my favorites & listed them below! A twist on the simple go-to turkey leftover, a turkey sandwich! And who doesn't like a panini. No one, the answer is no one. SO GOOD. Adding cranberry sauce really gives it a extra something too! This is my personal, thanksgiving left over go-to meal. SO easy. I always just a buy a couple extra pie crusts dough's when I get them for pies before Thanksgiving! I use a can of cream of chicken as my sauce! 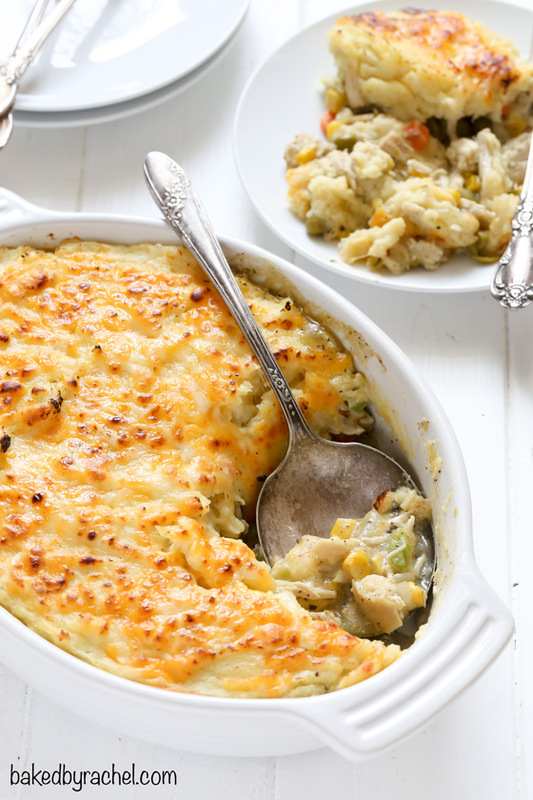 This meal is super, easy peasy & it uses more than just turkey. So creamy, & a great chilly night dinner! Here is a out of the box way to use turkey! 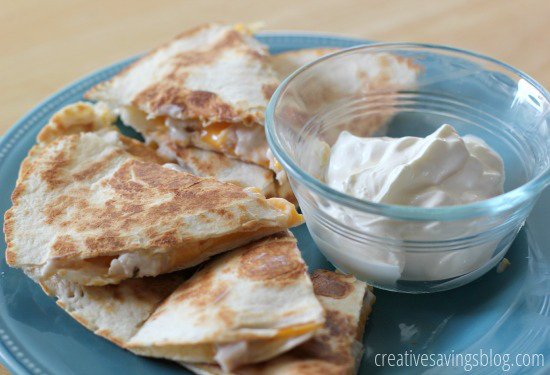 Still yummy, super Easy & can be great to send to lunch to school as well! Last but not least, this yummy casserole! I was apprehensive at first, but this is a winner! I am not a huge stuffing lover but really loved this! & there they are! 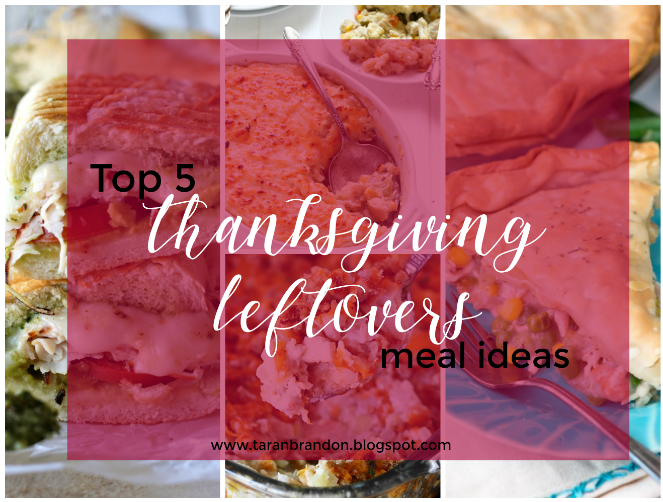 My top 5 Thanksgiving leftover meals! Let me know which one you use!